Where: Near downtown Louisville and just south of the Ohio River, this section, also called the East Market District, is nicknamed "NuLu," as in "New Louisville." Was: Anchored by a city park in the mid-1800s and home to scores of German immigrants. 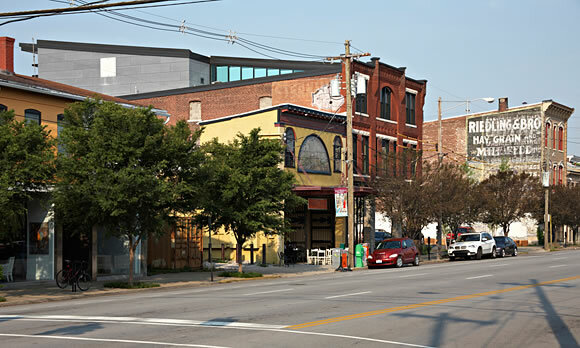 By about 1900, the neighborhood's stockyards and tanneries helped turn it into the city's commercial core, according to LouisvilleHomesBlog.com. But from the 1970s through the '90s, as developers pumped their money elsewhere, the district's neglected buildings first showed their age then displayed gang graffiti. Now: The taint and blight are gone. A row of former homeless shelters has become a home-décor boutique, a tech startup, a record store and a jewelry shop, says Gill Holland, an award-winning filmmaker. Holland also helped redevelop the Green Building, an 1890s dry-goods store that now houses a cafe, offices and event space. It has helped fuel NuLu's hip rebranding and re-emergence.